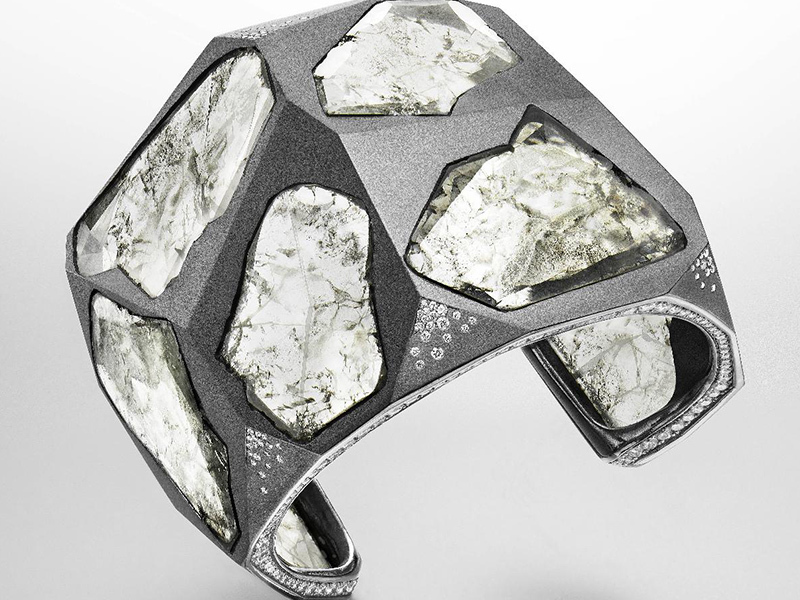 By breaking the codes and creating exclusive jewels Suzanne Syz can only make one smile. 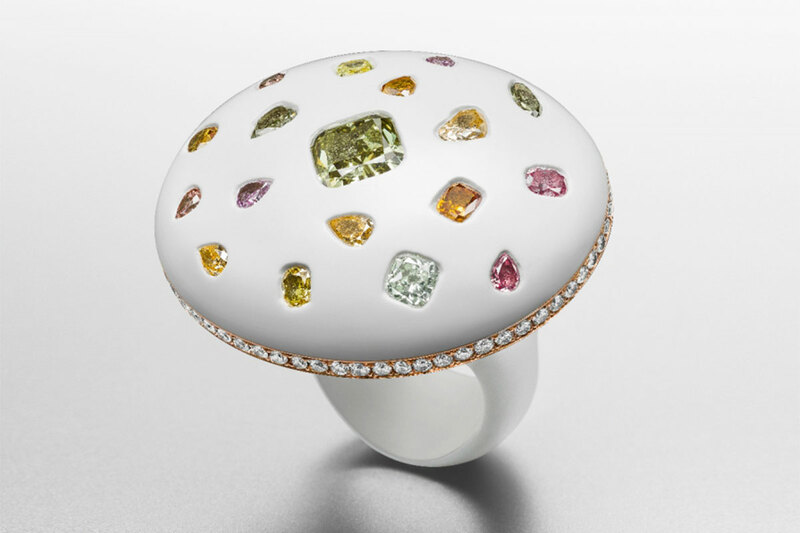 The talented jewelry designer was born in Zurich, raised in Paris, worked in New York and now is established in Geneva. 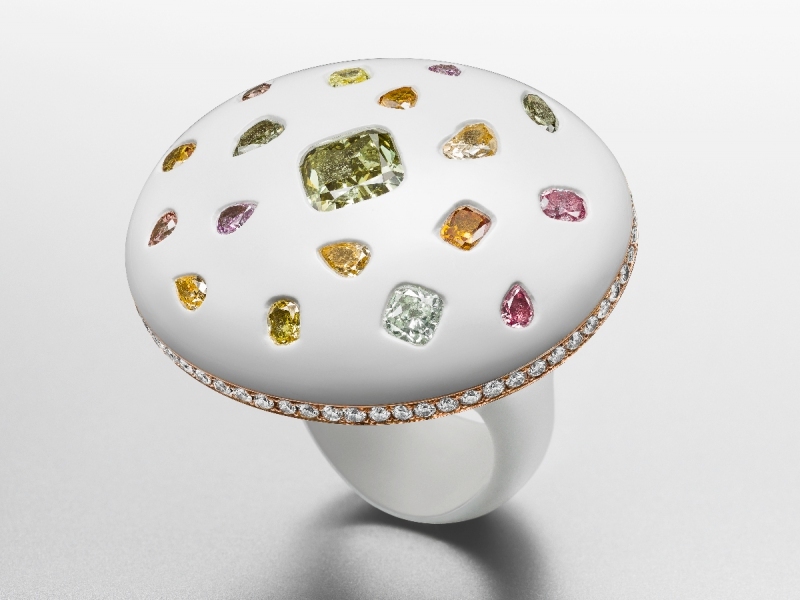 She showcased an astounding jewel selection at Masterpiece London playing on shapes and colors. It was impossible to miss the Suzanne Syz stand at Masterpiece, an elegant and modern bonbonnière filled with exquisite one-off a kind treats. In addition to being a stewardess for excellent craftsmanship and uniqueness, Suzanne Syz is a master of instilling playfulness in sumptuous designs. 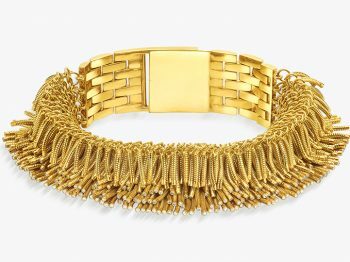 While most high-end houses treat luxury as a serious affair, Suzanne Syz has no qualms breaking the codes and creating exclusive jewels that do make one smile. 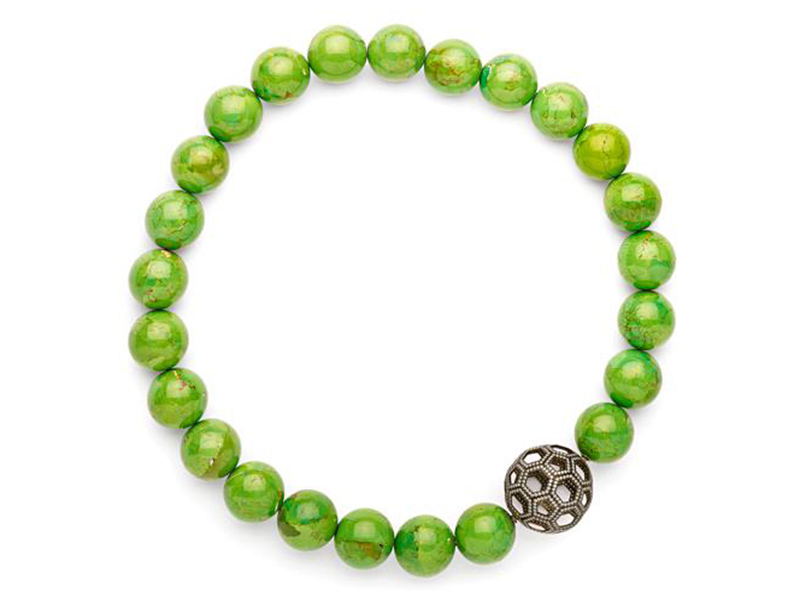 The kind of organic jewelry a modern Jackie-O would covet. 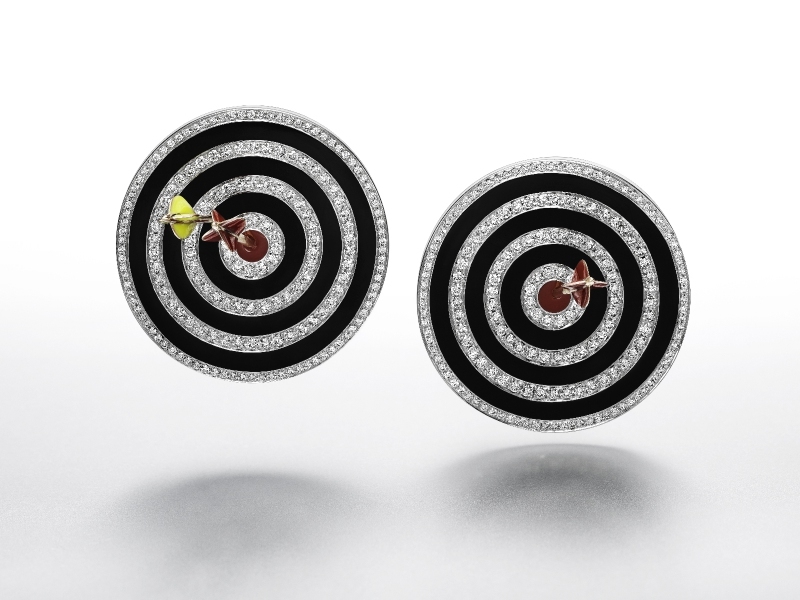 The ‘Hit the Bullseye’ earrings were a prime example as much in the title as in the design: a delightful game of darts that will surely pierce one’s heart. We should be grateful that Suzanne Syz champions the concept of ‘honest’ luxury, never repeating designs -or at least offering them in different color ways for the permanent collections- unearthing rare components, guaranteeing the best expertise from illustrious Swiss ateliers and above all continuously experimenting. 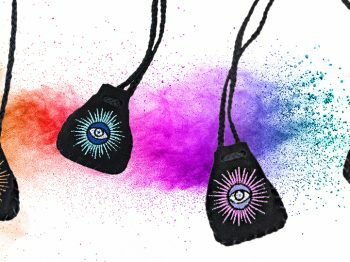 “I create to make people happy and to show them how talented the artisans are whom I work with,” claims Syz. 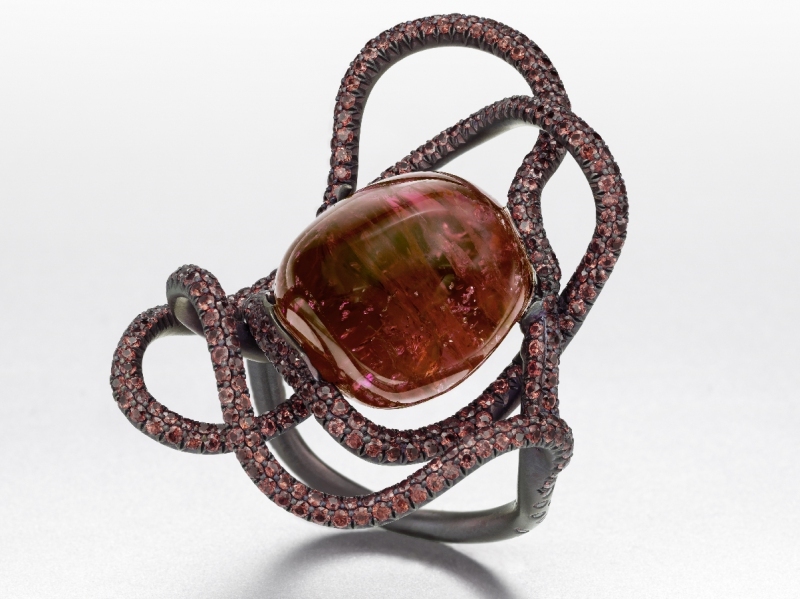 “A piece of jewelry selling for $10,000 or $1,000,000 should be one-of-a-kind and executed in the very best way. This is what I do and my clients share that vision of true luxury,” she observes. 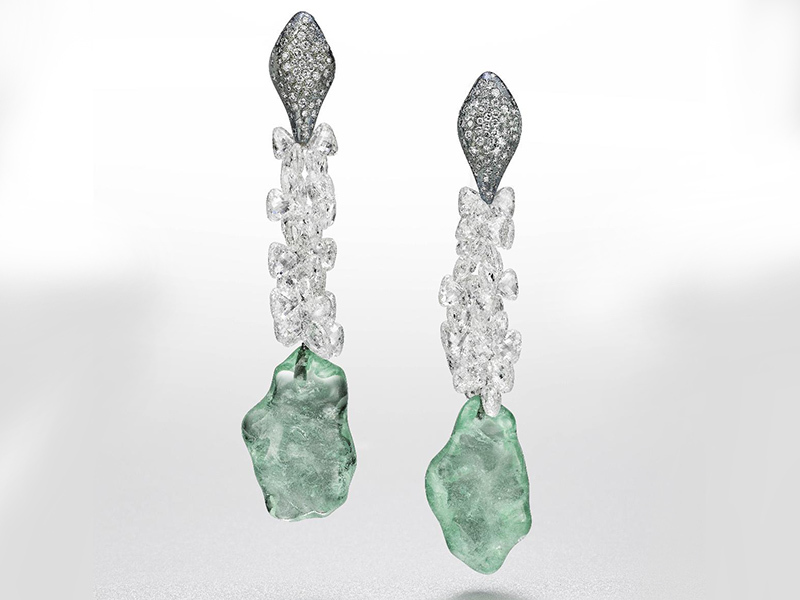 So many pieces were desirable, in particular the gorgeous one strand ‘That’s Amore’ necklace of large lime green turquoise beads punctuated by one single cut-out sphere set with diamonds or the ‘Lady Hamilton’ earrings whose mesmerizing fragility is only deceptive. 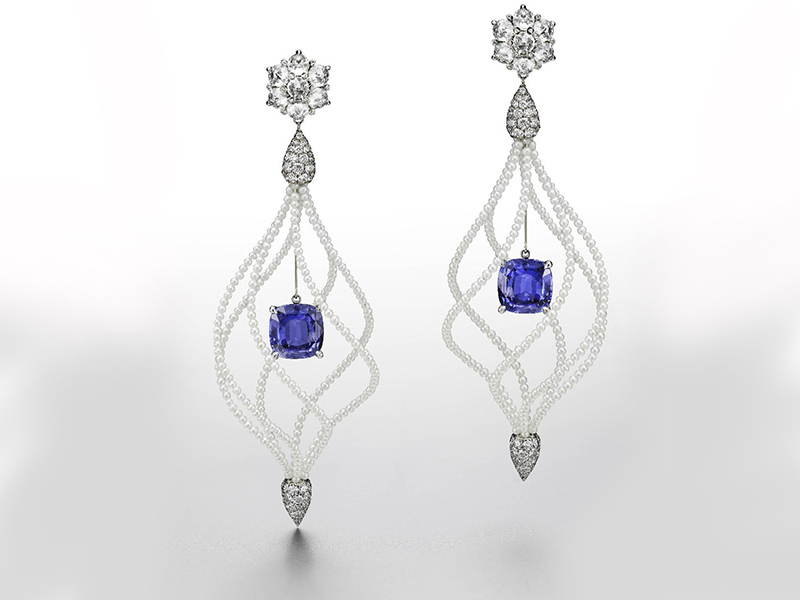 On one hand the full set made of the swirling strands of pearled diamonds that shield two Ceylon sapphires exudes delicacy. However on the other hand, the titanium and white gold skeleton assures maximum strength. Like in any other Suzanne Syz creations, it is always a feat of ‘engineering marrying artistry’. By Olivier Dupon author of The New Artisans (2011), The New Jewelers (2012), The New Pâtissiers (2013), Floral Contemporary (2014) and Encore! The New Artisans (2015), all published by Thames & Hudson. 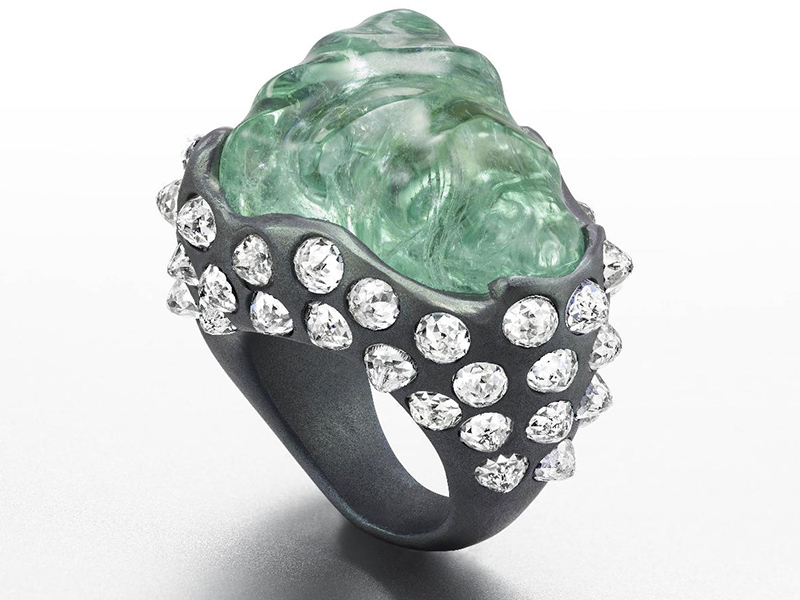 His new book on luxury jewelry will be published in 2016.